The Sharing Economy: What's in it for Me? A recap of Agilquest’s fourth annual Agile Workplace Conference. John Vivadelli (with hand on chin), Agilquest’s founder and CEO, chats with conference goers. Photo by Brandon Martin. Agilquest held its annual Agile Workplace Conference on Tuesday, September 23, on the top floor of the Waterview Tower in Arlington, Va. Full of light, with sweeping views of Washington, the location energized speakers and attendees to attack, in conversation, some of the toughest issues facing today’s workplace. The theme of the conference was “The Sharing Economy: What’s in it for me?” and the worst part about the nine breakout sessions is that we couldn’t attend all of them. Session topics included (but weren’t limited to) “Envisioning the Workplace of 2016 (The Future is Sooner Than You Might Think),” “The Value of Data in Transforming the Workplace,” “The People’s Choice: The Consumerization of the Workplace,” and “What’s in it for Me? Communication Workplace Personal ROI Effectively”. The view: very Instagram-able. Photo by Natalie Grasso. Our own Bob Fox sat on a panel discussing the value of creating a workplace where people actually want to work. He was joined by Janet Pogue, a principal and global workplace leader at Gensler; Margaret Serrato, a workplace strategist at Herman Miller; Steve Teubner, VP of real estate technology and smart buildings for CGI Federal; and Kevin Fadely, a business development manager for Allsteel. Pogue kicked things off by citing six themes that have emerged from Gensler’s as the most important actions and feelings that workspace must support: think, connect, choice, wellbeing, purpose, and community. President of Global Workplace Analytics, Kate Lister (in black), during a breakout sesh. Photo by Brandon Martin. In another session, Melissa Marsh, the founder and CEO of Plastarc, Inc., and John Vivadelli, Agilquest’s president and CEO, tackled the consumerization of the workplace and all of the different choices employees are increasingly given about where they go to work. “We’re at a point where users can choose [their workspaces], but up until now, workplace choices have not been made by users,” said Marsh. Back in the days of the big hulking computer, employees had to be at the office: that’s where “work” lived. But now, our office is in our pockets. “The IT community has moved from system-centric to user-centric,” said Marsh. The workplace is going there, too. What people in coworking space say about what they value can help real estate and facilities management understand what their own employees want. “One model of consumerized space is coworking—a social/economic model that has nothing to do with [a specific] type of space,” she said. 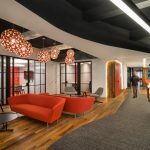 Vivadelli added that coworking has much more to do with community and on-demand amenities—all things that can be shared—than it does ownership of space (a private, dedicated office, for example). 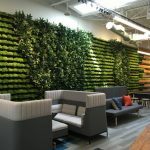 “What people in coworking space say about what they value can help real estate and facilities management understand what their own employees want,” said Marsh. Both experts predict that the rising tide of this “sharing economy” will improve the workplace for all of us. “When people are choosing performance over ownership, there must be improved performance of the things you’re now sharing,” said Marsh. For a full roundup of conversation topics, more information on Agilquest’s products, and to find out how to take part in next year’s conference, click here.